As you develop your marketing, sales and PR strategies for managed services in 2009, you can embrace a range of closely related Web 2.0 technologies -- blogs, podcasts, RSS feeds and so on. Which Web 2.0 technologies are right for managed service providers? Here are six tips to get you started. 1. Do You Really Need A Corporate Blog? As you develop your marketing, sales and PR strategies for managed services in 2009, you can embrace a range of closely related Web 2.0 technologies — blogs, podcasts, RSS feeds and so on. Which Web 2.0 technologies are right for managed service providers? Here are six tips to get you started. Having a blog is like getting a dog. It’s fun for a few days. Then most people realize they need to constantly feed the dog and walk the dog. Even worse, you need to find someone to take care of the dog if you want to take a vacation. Don’t get me wrong: Blogs are fantastic, addictive ways to get your message out and raise your company’s search engine optimization. Through a blog, you can attract new customers and partners. But I offer this standard advice: Before you start a blog try to keep a private journal (written in your favorite word processor) for about a month. Update the journal at least twice per week. After the month is up, review the journal and see if you have the energy and focus to make the leap from a personal journal to a public blog. And think carefully about the content you want to offer. You may have strong opinions about IT, the economy, political issues impacting business and so on. But will those views attract — or push away — potential customers? Few MSPs make a successful leap to blogging. Consider this: Several hundred MSPs completed our latest MSPmentor 100 survey, but only about 40 of those survey participants say they have a corporate or personal blog. And I suspect only about 20 of the blogs are updated regularly (at least once per week). We’ll offer a complete list of MSP blogs when we publish the latest MSPmentor 100 report in February 2009. In the meantime, here’s a look at some of the more successful MSP-oriented blogs I’ve seen in 2008. 2. What Blog Software Should My Company Choose? Choosing a blog platform (the blogging software) is a bit like buying a car: You need to drive a few models and really get under the hood before you select the right platform that’s most ideal for you. 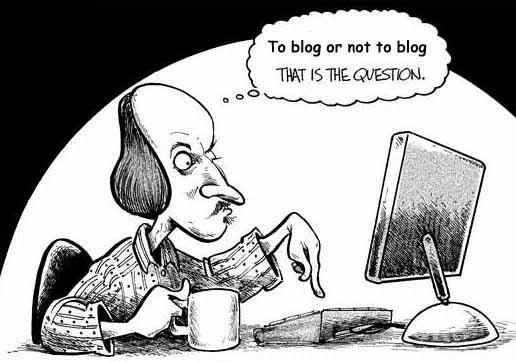 Google Blogger and WordPress are two solid options. Both are free and all the software lives in the cloud. Both tools are like online word processors. You log into the system, write a few paragraphs, offer a few links of reader interest and click publish. It’s that simple to get started. But don’t stop there. Consider approaches that allow you to embed your blog right in your existing company site or at least within your company’s corporate URL. For an example see Nimsoft CEO Gary Read’s blog. 4. Do You Need A Podcast? I have to admit: I’m not a huge fan of audio or video podcasts. I find most of them filled with jargon and endless banter. Generally speaking, I suspect only one percent of successful blogs have a compelling audio or video podcast component. For managed service providers, I would strongly recommend building your blog traffic first before pushing deeper into audio or video podcasts — which are time consuming to produce and may distract you from your primary line of business. FreeConference.com: A great way to record a phone conversation that can be transformed into a podcast. Within a few minutes of completing the phone call interview, you’ll receive an automated email that allows you to download a recording of the conversation. The recording feature involves a nominal charge. I think it’s about 10 cents per minute per caller. The Snowball Microphone: If you’re interviewing someone in a face-to-face setting, the Snowball Microphone is a fantastic USB device for recording the discussion directly to your PC or Mac hard drive. Apple GarageBand: Free with every Macintosh, GarageBand is a nifty application that lets you edit recordings into podcasts. You can easily add music intros and edit your audio clip for publication on the Web. MyPodcast.com: A solid hosting site where you can publish your podcast to the Web for free. 5. Do You Need Web 2.0 Videos? Ironically, Web 2.0 videos are often easier to produce than audio and video podcasts. I consider Web 2.0 videos to be promotional materials, interviews or customer case studies that you publish to YouTube and then promote across the Web. Don’t spend a dime on Web 2.0 video. Instead, reach out to your vendor partners (hardware companies, software companies and service providers) to see if they have budget to produce such videos. Tell them you’re willing to endorse their company’s products/services — as long as the video focuses mainly on your own business success, and the success of your customers. J. Michael Drake, CEO of masterIT, is a master of this video partner approach (as I’ve noted multiple times). For the most part, I think it’s wise for MSPs to “join” social networks like FaceBook. But I don’t necessarily recommend launching your own company social network. Remember: You barely have enough time to write one blog update per week. How are you possibly going to have time to build, run, maintain and expand a social network? WidgetBox: A fun site where you can find various social network components that you can plug into your Web site or blog. Twitter: Similar to an RSS feed, Twitter is a great way to launch one-sentence promotions that drive subscribers to your web site. Dell, for instance, used Twitter to generate $1 million in new product revenue. Not a huge number for Dell, but certainly an interesting trend. Ning: A free social network platform from Marc Andreessen (co-founder of Netscape). Master MSPs like Do IT Smarter have used Ning to build highly targeted customer communities. And I’ve used Ning to launch two social networks that have nearly 2,000 active members. But remember: For every successful social network you launch, there will likely be 20 that fail. The reason: People don’t have time to join yet another social network unless it has members or content that they need on a daily basis. So there you have it: Six areas where you can focus your Web 2.0 strategies in 2009. I’m willing to bet that fewer than 1 percent of MSPs will launch, build and maintain successful blogs in 2009. But for those who do: Congratulations. You’re bound to find customers, partners and business opportunities through your Web 2.0 efforts. Joe, this is great info and I’m glad to see I do most of this on my business blog. One of my tech vendors just asked me to propose (after seeing my blog) of having me write his for him since he knows I can talk tech in english. For those that don’t have time to do a blog themselves, do you recommend that kind of Blog as a Service (BAAS since you guys like everything in an AAS format :-)). I’m just curious. Seems like a good solution for those that want to lead the discussion in a particular direction but dont have time to do all the entries themselves. Plus, for someone like me, it allows me to work more closely with them and get more referrals and deals for leases. 1. Think of the reader “persona” when you write — hint, don’t think about yourself, your competitors, or your channel partners. Instead thing like a person who needs information and guidance on “how to” procure managed services. My point; most MSPs don’t think this way, so you can very easily differentiate your commentary. All “MSP-oriented” blogs are not customer-centric, by definition. 2. If you don’t have time to nurture your own blog, then join a Collaborative Blog that shares a common cause for #1 above, as a guest author. My point; you don’t need a corporate blog to accomplish the #1 goal, and engage end-customers. People new to blogging will benefit from aligning their commentary with those who already have experience (with your chosen topic, blogging tools and Web 2.0 strategy). 3. If you must create your own blog, then don’t ask a traditional marketing consultant, advertising agency or PR firm to help you. They will likely be clueless about best practices for digital marketing. My point; 21st Century marketing communications is about engaging in an authentic open-minded dialogue — it’s not about finding a place to pitch the spin from your self-centered monologue. Stu: We’re approached about writing ghost blogs all the time and our parent company (Nine Lives Media Inc.) actually offers those services to a number of third-party companies at the moment. But I would caution readers: You want your blog to reflect your company’s culture, business focus, market passion, etc. A ghost writer or guest blogger may generate compelling content for your blog. However, most ghost writers can’t “fake” the personality/business traits that are unique to your company. You’re definitely right about that. I was just curious since you write them for a living and I do it as a supporting tool. Thats good advice. Stu: If you look at it another way, I blog as a supporting tool for a much bigger career objective: Building Nine Lives Media Inc.’s assets. Our blogs are like the heart within a much bigger, far more complex media body.